 The Bichon Frise is playful, curious, and peppy. Its name (pronounced BEE-shon Free-ZAY) is French for “fluffy white dog,” which is a very accurate way to describe these 10- to 20-pound four-legged cotton balls. Bred to be hypoallergenic, their white, curly coats rarely shed. This breed is easily trained and carries a charismatic, cheerful, and curious disposition. And their history of being pampered by French royalty makes them tolerant of being adorned in bows and bling, should you feel the urge. Bichons love to show off, and they respond well to positive training but not harsh tactics. Highly intelligent and trainable, Bichons delight in entertaining their owners. Bichons also love to run - and they are fast! Your first ‘Bichon blitz’ will amaze you.